When Aethersphere Harvester enters the battlefield, you get ee (two energy counters). 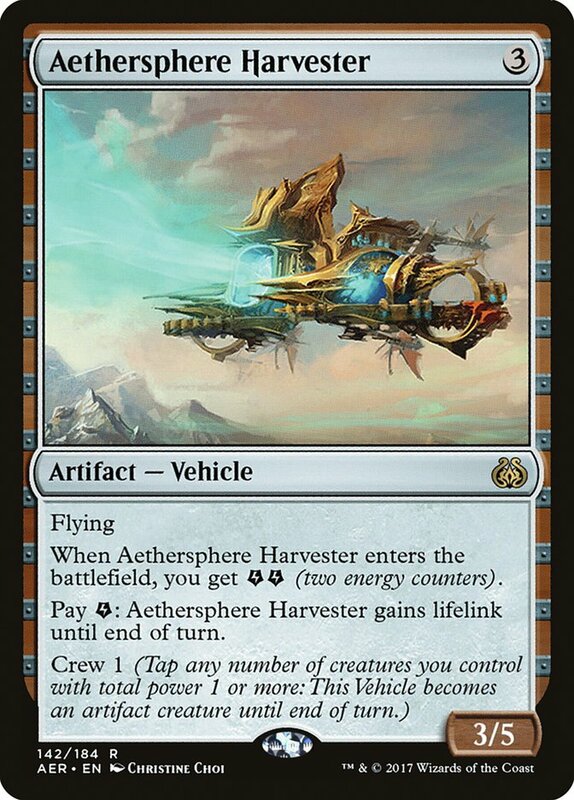 Pay e: Aethersphere Harvester gains lifelink until end of turn. When Aethersphere Harvester enters the battlefield, you get EE(two energy counters).